Basically, anaerobes are organisms that do not require energy oxygen for metabolism. As such, they are different from other types of organisms (aerobes) that need oxygen for their energy needs. Therefore, compared to aerobes that need oxygen to grow, anaerobes are capable of using various other substances during metabolism. Like other anaerobic organisms, anaerobic bacteria do not require oxygen for respiration. Rather various organic and even inorganic materials may be used as electron acceptors during this process. Here, it is worth noting that some of the anaerobes can tolerate oxygen and even use it for respiration. For others, however, oxygen cannot be tolerated and is even poisonous to the bacteria. 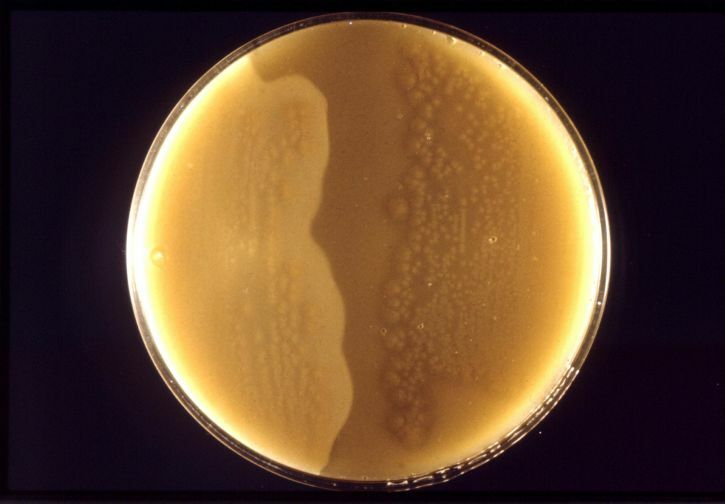 Aerobically different bacteria behave differently when grown in liquid culture by Pixie [Own Work:Public domain], Wikipedia commons. Obligate aerobic bacteria gather at the top of the test tube in order to absorb maximal amount of oxygen. Obligate anaerobic bacteria gather at the bottom to avoid oxygen. Facultative bacteria gather mostly at the top, since aerobic respiration is advantageous (ie, energetically favorable); but as lack of oxygen does not hurt them, they can be found all along the test tube. 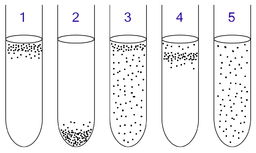 Microaerophiles gather at the upper part of the test tube but not at the top. They require oxygen, but at a lower concentration. Aerotolerant bacteria are not affected at all by oxygen, and they are evenly spread along the test tube. Bacteria described as facultative anaerobes grow well in oxygen but can also continue growing in its absence. Although they particularly thrive in the presence of oxygen, these anaerobes can also use such processes as fermentation to continue growing when oxygen is not available. Because of their ability to respire and ferment organic substances, these types of bacteria (facultative anaerobes), can continue growing in the presence or the absence of oxygen. For some of these organisms, particularly those that rely on oxygen for some of the biosynthetic reactions, growing is significantly affected in the absence of oxygen. Metabolism refers to a set of chemical reactions that convert food material into energy. For facultative anaerobes, respiration pathways shift depending on the presence or absence of oxygen. For both aerobic respiration and fermentation of facultative anaerobic bacteria like lactobacillus, glycolysis (breakdown of glucose to produce 2 Pyruvate) is the first step of metabolism. * The simple sugar is first converted to phosphoenolpyruvate before being broken down further to pyruvate. Anaerobic respiration goes through two more phases that include the tricarboxylic acid cycle (TCA) and the electron transport chain. Pyruvate, which still contains high amounts of chemical energy, is then acted upon by enzyme pyruvate dehydrogenase to produce acetyl-CoA (acetyl-coenzyme A). In the tricarboxylic acid cycle (TCA), they acetyl (Acetyl-CoA) is oxidized in eight enzymatic steps to produce molecules known as NADH (nicotinamide adenine dinucleotide). Here, each of the pyruvate molecules is broken down to release four of these molecules. NADH plays an important role as a reducing agent in that it operates as the electron donor to oxygen, which acts as the terminal electron acceptor. In the process, oxygen is reduced to water. In the end, the process of complete breakdown of glucose in aerobic respiration results in the production of 36 molecules of ATP for each unit of glucose. * TCA is also known as the Krebs cycle of the citric acid cycle. * The TCA cycle takes place in the mitochondria. In the absence of oxygen, bacteria like E. coli have to use another process to make energy. This involves the transformation of pyruvate in order to regenerate NAD+. * Such electron acceptors as sulfate, nitrates, and fumarate among others may be used. Here, NADH donates electrons to these compounds given that oxygen as an electron acceptor is absent. However, due to the fact that these electron acceptors have less affinity for electrons as compared to oxygen, less amount of energy is produced during anaerobic respiration. In some cases, the aforementioned alternatives (nitrate, sulfate, sulfur and fumarate) and oxygen are altogether absent. For this reason, facultative anaerobes like lactobacillus use fermentation as a means of energy production. Following glycolysis, which breaks down the sugar into pyruvate, the molecules of pyruvate produced may be further broken down by given enzymes resulting in the production of given products. The presence of lactate dehydrogenase may result in the production of lactate while the presence of pyruvate formate lyase may break down pyruvate to formate. As well, pyruvate dehydrogenase breaks down pyruvate to acetyl-CoA. These products are then further broken down by given enzymatic action depending on the organism. 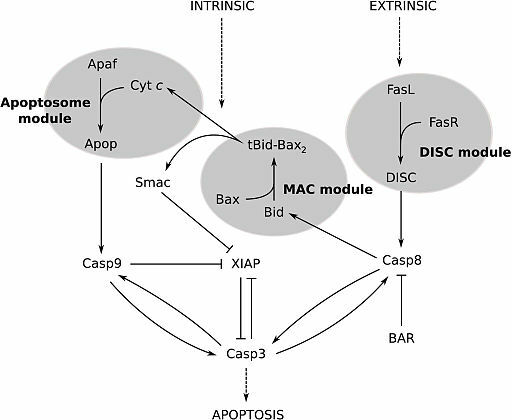 For instance, Acetyl-CoA is further broken down to acetate by phosphate acetyl-transferase or may end up being broken down to ethanol by alcohol dehydrogenase and acetaldehyde dehydrogenase. Further action (enzyme action) produces succinate which is further converted to acids and end up being removed from the cell as waste. While ethanol is directly excreted, formate is broken down to carbon dioxide and hydrogen that have to be removed from the cell. Although the fermentation process produces energy, the amount of energy is significantly less compared to the amount produced during aerobic respiration. * In fermentation, two molecules of ATP are produced for each unit of glucose. Preferential use of respiration - Although some of the facultative anaerobes have been shown to turn off respiratory enzymes to use fermentation, despite the low energy yield, respiration is preferred by a majority of these organisms given that it provides high energy yield. Sugar breakdown - Lastly, due to the amounts of energy produced by the different mechanisms, there is a smaller rate of sugar breakdown in aerobiasis compared to anaerobiasis. 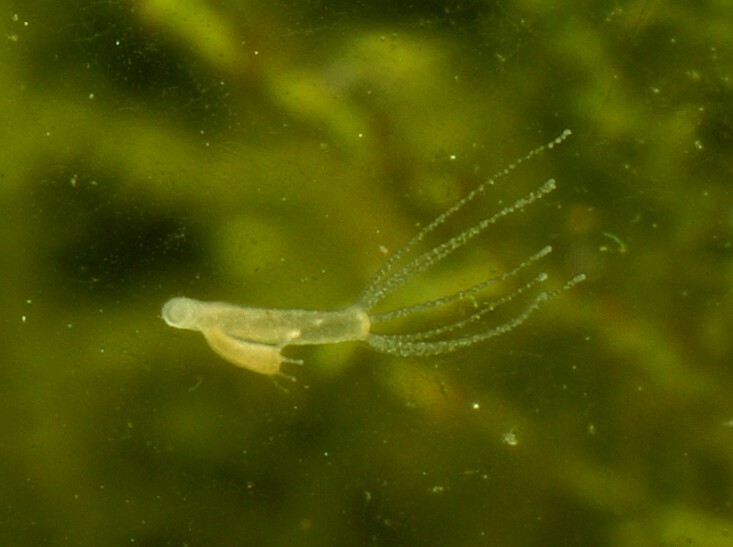 Unlike facultative anaerobes, obligates live in environments that do not have oxygen. As such, they cannot survive in the presence of oxygen due to oxygen toxicity. For this reason, obligate anaerobes depend on a variety of other substances as terminal electron acceptors. Although obligate anaerobes live in environments devoid of oxygen (mud or animal gut etc) some can tolerate very little concentration of oxygen (between 0.5 and 8 percent of oxygen) depending on the organism. When exposed to higher concentrations, some of these bacteria form endospores that are able to survive through such extreme conditions. Although they can tolerate the presence of oxygen, aerotolerant anaerobes cannot grow or carry out metabolism processes in its presence. Using fermentation, these bacteria are able to meet their energy requirement. Hiroko E. Kikuchi and Takeshi Suzuki. (1986). Quantitative Method for Measurement of Aerotolerance of Bacteria and Its Application to Oral Indigenous Anaerobes. Applied And Environmental Microbiology, Oct. 1986, p. 971-973. Dr Alvin Fox. (2016). 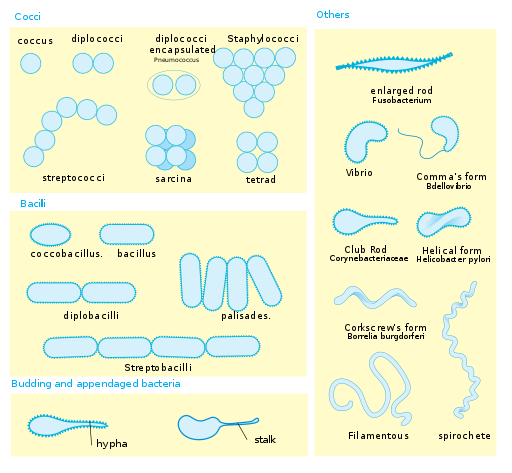 Bacteriology - Chapter Three. Nutrition, Growth And Energy Metabolism. Thomas Finn. (2014). Understanding bacterial adaptation to aerobic and anaerobic environments through experimental evolution and whole genome analysis.